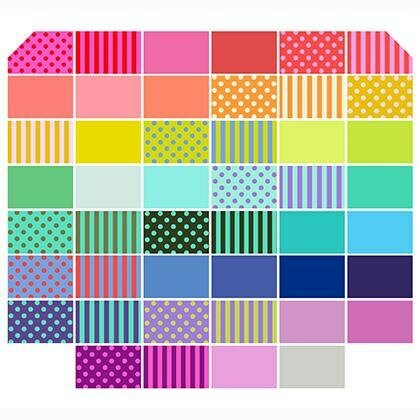 All Stars by Tula Pink 5 Charm Pack -Free Spirit Fabrics 46 different charms.Charm Pack, stripes, solids and dots. Ships now. All Stars by Tula Pink 5" Charm Pack -Free Spirit Fabrics 46 different charms.Charm Pack, stripes, solids and dots. Ships now. 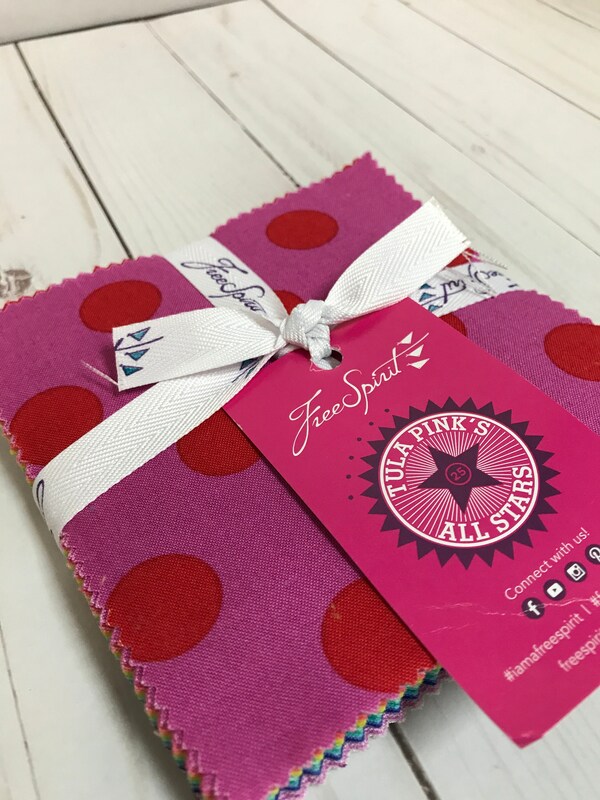 This collection by Tula Pink of 5" Charm Pack is a beautiful collection of modern fabrics called All Stars Coordinates for Free Spirit Fabrics. 46 different fabrics, 46 Charms- 5" x 5"
Fat quarters: approximately 5" x 5"